For many designers and fashion brands, social media has bridged the gap of communication from the distant world of high fashion to their customers and supporters. For those who do it well such as Tisci’s Burberry, Virgil Abloh and many others, their market is engaged and loyal. Yet Dolce & Gabbana (D&G), owned by Stefano Gabbana and Domenico Dolce, have never been ones to grace social media with a ‘positive’ presence. D&G’s most recent and downright dreadful campaign (that has since been abandoned) featured a Chinese woman attempting and failing to use chopsticks on large Italian foods such as Pizza and Cannoli. This sparked immediate outrage as it acted on racial misconceptions and reinforced negative stereotypes. The campaign was incredibly out of touch, especially considering the East Asian market’s powerhouse position within the consumption of designer brands, equating to an estimated 33% of all of global luxury goods. Diet Prada, the notoriously outspoken Instagram page who broke the story described the racist advert as being “a tired and false stereotype of a people lacking refinement/culture to understand how to eat foreign foods” and part of a wider racial ignorance toward the Asian market that is deeply rooted within the fashion industry. One would think that after the negative backlash D&G would immediately apologize, however things only got worse. After thousands of people flocked online to show their disgust and disappointment, Stefano took it upon himself to respond both on his personal Instagram, and the official Dolce & Gabanna account. In response to people calling the brand out for being racist, Stefano was even more racist, by replying to people in his DMs with comments such as ‘China ignorant Dirty Smelling Mafia’, ‘Country of **** is China’, and ‘eat dogs b**** I block you’. 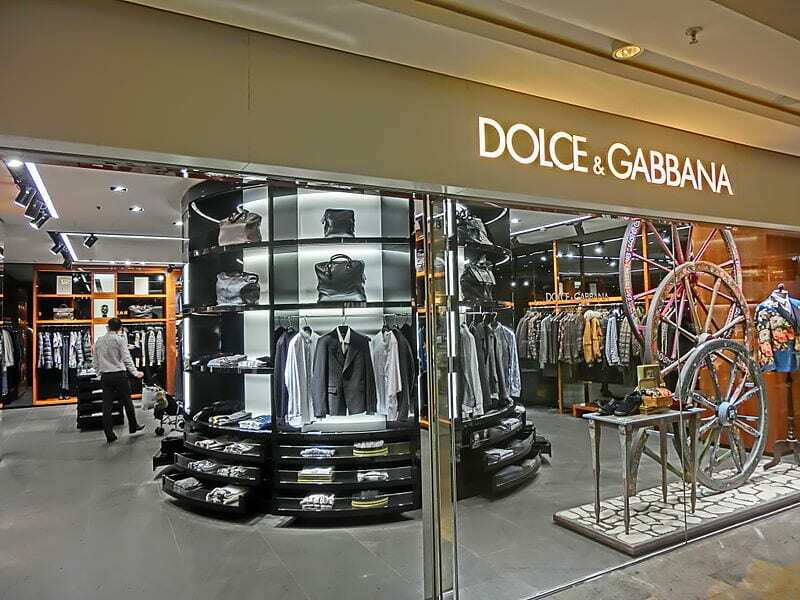 It is clear that D&G did not do the appropriate research prior to the campaign, with many questioning who the advert was actually for: their Chinese customers or for the brand’s own racist entertainment. Either way, in the repercussions since, their brand image has depleted massively. Their 500-look show, DGTHEGREATSHOW, which was set to take place in Shanghai, was cancelled by the Shanghai Cultural Affairs Bureau. Additionally, many Chinese celebrities refused to go to the show. The whole story was a phenomenon on Chinese social media site Weibo, with #DGTheGreatShowCancelled being viewed over 540 million times. The scale of this disaster is clear, and has affected the brand not only in Asia, with Chinese retail giants Alibaba and JD.com pulling the brand from their sites, but has sparked international outrage. The colossal YOOX Net-a-Porter Group to be the first international e-commerce retailer to make a stand against this insulting behaviour. It is evidently fair to say that social media has the power to both make and break careers, but this leads to the question of ‘who is next?’. In a new culture of ‘outing’ behavior, it seems that almost every month a new brand is being exposed for corrupt and unethical ways, and this can be seen as a positive, because who really wants to be giving racists their coin? The rise of global markets and social media have has changed the equation on cultural sensitivity and the fashion industry forever. What’s clear from D&G is that the time’s up for out-dated racism and bullying ingrained within the fashion industry.